Žepče is a toun an municipality in central Bosnie an Herzegovinae, locatit atween Doboj an Zenica. It is admeenistratively pairt o the Zenica-Doboj Canton o the Federation o Bosnie an Herzegovinae. The toun Žepče is locatit in the central Bosnie, towards the heichgate M-17. The river Bosna flows through this toun. Near bi the toun an athin the toun, there are 14 springs o mineral water. Žepče is in the valley an surroondit bi muntains. The toun wis first mentioned in 1458 in a chairter issued bi the Bosnie Keeng Stjepan Tomašević. Nae census haes been carriet oot syne 1991. 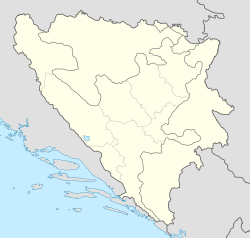 It is estimatit that in 2005, population o municipality includes 61% Croats an 38% Bosniaks. Housomeivver, the municipality borders hae been chyngit in 2001. Wikimedia Commons haes media relatit tae Žepče. This page wis last eeditit on 10 Mairch 2018, at 20:22.